On Bitcoin, most of the world will usually fall into one of two opposing camps. In one camp are the technologists who comprehend the true nature and the full potential of this innovation. These are believers who unfortunately refuse to acknowledge any weakness in the Bitcoin system. In the other camp are complete naysayers – generally economists and finance guys, who are basically unable to comprehend the technological innovation of Bitcoin, and are content with making general disapproving noises about the concept. I will try to provide a balanced view, for which it is important to appreciate that Bitcoin is indeed one of the greatest-ever innovations in finance. It is definitely a lot cleverer than any of the theoretical bunkum taught in B schools’ finance courses – capital asset pricing model, alpha, beta, Black Scholes Model, blah blah. What’s all the hype about? I mean, why is the online community, the media, and nearly the entire world all atwitter about this Bitcoin thing? Is all the attention deserved? Yes. The attention is thoroughly deserved. Bitcoin is a very fundamental breakthrough. If I use an analogy from the automobile world, the innovation would be like going from horses to cars. That’s different from incremental innovation, like going from slow to faster cars. Coming to the bit about hype, you must have observed that hype in new technologies is different from hype in asset prices. Hype in real estate markets, stock markets reaches a climax at the end – just as the bubble is about to burst. Hype in new technologies however, is highest at the beginning. New technological breakthroughs like 3D printing, stem cell research, shale gas fracking etc. prompt scores of entrepreneurs and venture capitalists to chase business opportunities in these fields. However, it takes years for them to eventually figure out a sustainable revenue model. As an accomplished researcher put it, we tend to overestimate the impact of new technologies in the short run, and underestimate their impact in the long-run. You can see the internet as a prime example of this phenomenon – the initial hype led to the dotcom boom which unceremoniously ended in a bust, but two decades later, we do have wildly successful internet companies like Google, Facebook, eBay, Amazon and many others. So in that sense, despite all the hype and confusion around the phenomenon, there is a good chance that Bitcoin too will evolve into something meaningful in the long term. You said Bitcoin was a fundamental innovation. Why? Bitcoin is a fundamental innovation because it provides a very novel solution to “double-spending”. The consequence is that it can “disrupt” the payments processing industry by allowing payments with zero transaction fees. Okay, the plot thickens. What exactly is double-spending? You see – online money is a just a series of bits, which can be easily replicated. This creates a unique problem for online currencies. In the real world, when you fork out a wad of hundred rupee notes and give it to someone, this money leaves your account and becomes permanently unavailable for you to reuse. Similarly, if you use net-banking etc. in e-commerce (you are still paying only rupees or dollars), the money that leaves your account becomes unavailable for you to use again. However, in an online currency where the money itself is represented by a series of bits, the same series of bits that you used to pay one recipient can be replicated and used again to pay another recipient. This is called double-spending, and it is a problem unique to digital currencies. So what’s the solution to double-spending? – The trusted central authority would have power to command an exorbitant transaction fee for processing any payment. – The trusted central authority would also have the power to make its own additions/deletions to the money-level in the system. So what are you telling me? Did Satoshi Nakamoto solve this double-spending problem all by himself? Without any central authority? Yep, that’s what he did! He (or they) solved it by turning the concept of central authority on its head. Instead of a central authority, we have a peer-to-peer network that takes responsibility for transaction-verification. All transactions are verified by recording them on a global database. The members of the p2p transaction-verifier network are rewarded with newly created Bitcoins whenever a transaction is verified. Thus, there is a clear incentive for people to participate in the setting-up and operation of this p2p network. You’ve got to be kidding me! Synching to a global database? It can’t be that simple right? Yep, I was kidding. It’s definitely not as simple as synching to a global database. To achieve transaction-verification in a peer-to-peer network of strangers, Satoshi had to solve a very complex problem in communications network theory, known as the Byzantine Generals Problem. How you love buzzwords! Byzantine General Problem? What kind of problem is this? – You need to find a way of propagating a message (the information about a transaction) in a network with nodes whose members are not necessarily known to each other – (and may or may not be honest), and then take a final decision on the basis of everyone’s messages. – The message transmission may fail either due to accident (errors) or due to deliberate action (sabotage by any of the nodes). – The final decision after the message has been successfully propagated needs to be the consensus decision of all the honest nodes in the network. This is the Byzantine Generals Problem. In other words, a group of military generals are waiting outside a city, stationed at some distance from each other (direct communication is impossible, messengers must necessarily be used). They have to decide whether to invade the city, or stay put. There are honest generals as well as traitors in the mix. Decisions and opinions can only be communicated through messengers. There are enemies lurking in the path used by the messengers. With all these constraints, how can the group come to a consensus that is based on the views of all the honest generals? If this problem sounds crazy, what is crazier is that Satoshi Nakamoto actually found a solution to this. How did he solve the Byzantine Generals Problem? Cryptography. That’s why Bitcoin is also called a crypto-currency. The information about the financial transaction is encrypted in a fool-proof way and it is impossible to tamper with it. Even if the individual nodes in the p2p network don’t know each other and don’t trust each other, the system will work, so long as majority of the nodes are honest. The communication scheme is known as the Bitcoin Protocol. Lemme get this straight. You’re just telling me that an obscure dude solved an even-more-obscure problem in computer science. Why is the whole world in a tizzy? Does this have even the slightest impact on the future of business and finance? – A payments system with zero transaction fees (since the p2p network is automatically compensated for transaction verification by the reward of newly created Bitcoins, there is no need for a separate transaction fee to process payments). – A currency system where the supply cannot be manipulated by a central authority like a reserve bank. Both points are extremely important. Payment processors like banks and other companies currently take a 2-3% transaction fee for processing any payment (often the transaction fees are higher than that if you want to transfer from or to under-developed countries). Bitcoin allows you to transfer money to anyone in the world without transaction fees. It is like paying cash to someone in the park. You don’t have to know the other person while paying cash, you don’t need to trust him or her, you don’t need anyone to supervise the cash transaction – it just works, and it has zero transaction fees. In the real world, zero transaction fees are only possible if you use cash, which means the other party needs to be at the same location. With Bitcoin, you can achieve this cash-like effect even if the recipient is thousands of miles away. Bitcoin can revolutionize the payments-processing industry with its zero-transaction-fee structure. It can also enable new business models based on micro-payments. Extremely small payments – like 20 paisa, 50 paisa and so on. Micropayments are economically unviable in the current payment systems because of the overhead costs of processing these payments. 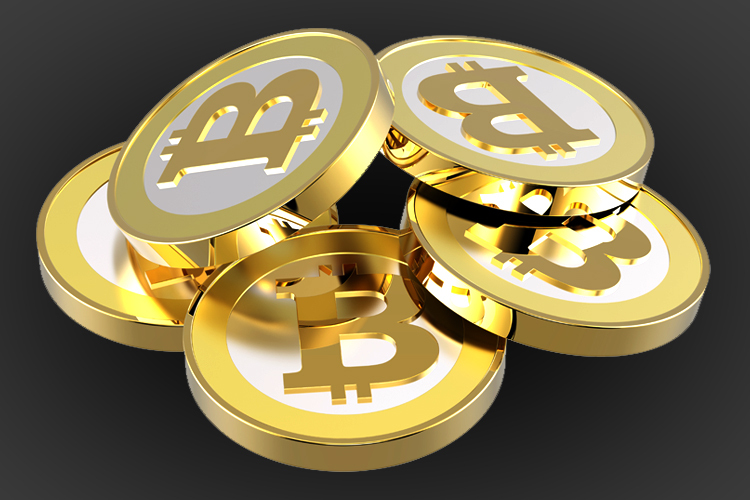 In the Bitcoin system – micropayments can be processed because there is no overhead. This can unlock new business models for industries like journalism. Right now, newspapers are struggling to monetize their online content – subscriptions are not really taking off or making up for the loss of advertising revenue. People probably don’t see a point in paying the entire six-seven dollars per week for subscribing to a newspaper. May be the concept of a newspaper subscription can be unbundled, in such a way that you pay a very small, almost negligible amount (a few cents) whenever you click on a specific article. – Creates a decentralized international digital asset register where every digital asset is uniquely identifiable and cannot be replicated. Identification is not trust-based, it is established by cryptographic proof. – Creates a trading platform for this digital asset – without any transaction fees. The concept, therefore, can be extended to any digital asset that is frequently traded. Stock markets, etc. etc. The possibilities are practically endless.